Math, the last part of STEM, and the base to a lot of the aforementioned fields is another field with a shortage of women. If you think about it, all of the other fields use Math in some way, so there are more female mathematicians out there, but not necessarily with that title. 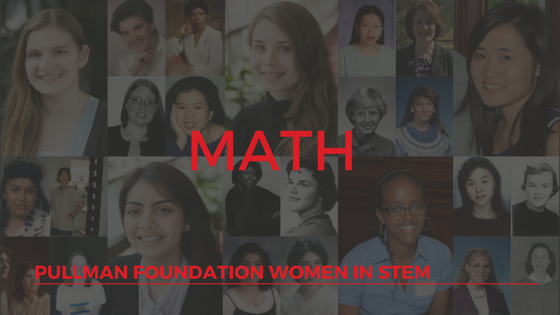 The Pullman Foundation has 228 female Mathematicians in the Pullman Scholar Community, 12% of our women in STEM. Each decade there have been fewer and fewer math majors, but they’re doing exciting things. This week, you’ll meet Pullman Scholar Alumna Kristen Schreck who is teaching calculus with 3D printing at Saint Xavier University and Pullman Scholar Sarah Dickey who shares her love of Math. If you’re in Math and would like to share your experience or organizations that support your career, please contact Katie Desir .